Indianapolis homes with tile tend to stay in the neutral category. 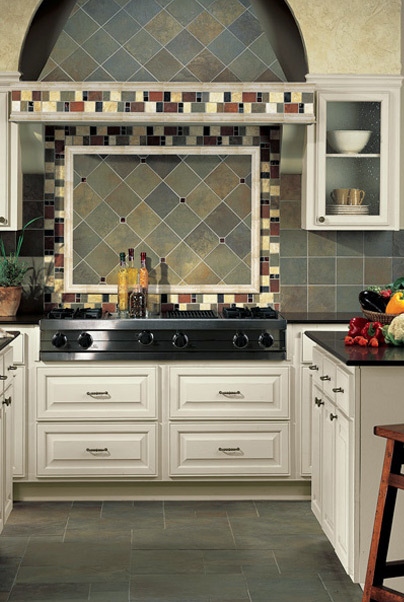 Beige, cream and tans continue to be the most prevalent colors chosen for tile. The thinking is that since tile is so long lasting, people want to make sure it doesn't date their home. It is indeed a reliable design strategy to use neutral tile and add furniture, drapes or other items for a splash of color. But if you're ready to look beyond neutrals, you've picked the right time and place. There are more varieties and colors of tile available than ever before and Kermans is your tile resource. 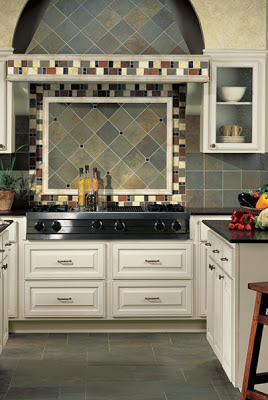 Colors and patterns are becoming a hot trend in tile. Let's look at how each type of tile can add some color and style to your home. Glass tile is popping up in more and more homes. It's a fun accent for a kitchen or bathroom backsplash. Its natural luminescent qualities can also lend a bold statement when used on a wall. Glossy or flat and available in a wide range of tiles, glass tile adds depth and color to any design. Metal tile is almost a neutral but with different levels of finish from high gloss to brushed satin, it too can add interesting depth and pattern to your design. Typically used in wall applications, stainless steel or warmer copper can bring a new look to your home. Maybe glass or metal is just too bold to go with your decor? You'd still like to move away from a cream or beige neutral, but you're not sure where to go? Think grey. Natural stone or ceramic tiles in shades of grey are still very neutral in your design but definitely more interesting than cream. A black and white pattern is another way of staying color neutral but design bright. Tile is so much more than off-white ceramic squares. Add colorful accents with tile or go big with a colorful tile mural. Create a glass wall in your bathroom for a spa feel or update your kitchen with grey stone tile. Want to know more about your tile options? Check out Kermans Online Tile Buyer's Guide.